This volume is the product of collaborative research endeavour undertaken and financed under the PHARE-ACE programme. Its objective was the acquisition of information concerning the operation of the agricultural price system under transition, the degree of adjustment of prices to equilibrium levels, and the price responsiveness of agricultural supply and of food demands systems. The research was conducted in three countries : Bulgaria, Romania and Slovenia. 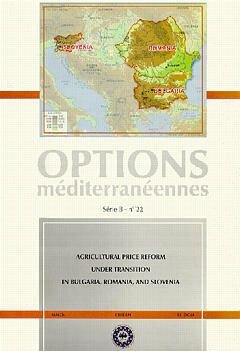 Agricultural reform, markets and prices (3 comm.). Food demand under transition (4 comm.). Agricultural supply response under transition (4 comm.). Agricultural prices under transition (2 comm.). Welfare dimensions of agricultural polices under transitions (3 comm.). Policy aspects (3 comm. ).